Transformers Prime: The Game gives fans a chance to step right into their favorite television show. With vibrant cutscenes and plenty of watchable action, even the youngest gamers will enjoy watching their favorite characters duke it out on the Wii console. Unfortunately, the noticeable lag caused by the Wii’s motion controls often leads to frustration, so kids (and adults) who are easily discouraged may want to look elsewhere. The Decepticons are back…..and this time, they’ve got a secret weapon. 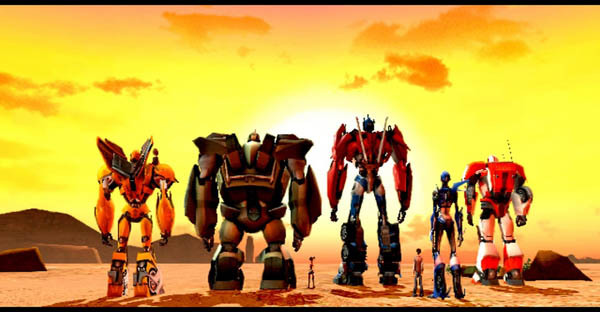 Whether you’re a Transformers fan from way back, or just got introduced them with the new show, Transformers are classic characters that have definitely stood the test of time. Transformers Prime: The Game, follows along with the story of the newest Transformers television show (playing on The Hub Network), but gives fans a new story to enjoy at the same time. Never fear, old school fans, both the show and the game have all your favorite characters from old school, and they do a pretty good job of doing justice to the series as well. In Transformers Prime: The Game, the Autobots detect some strange things going on up in space, and of course, the Decepticons are behind it all. An ensuing battle between the two on a remote asteroid ultimately results in both the Autobots and the Decepticon’s secret weapon being plunged down to earth. 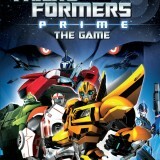 You, playing as various Autobots, must defeat the Decepticons, find their secret weapon, and of course, save the world. 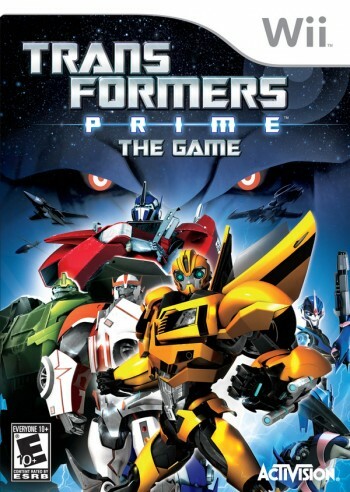 You’ll play each level as a pre-determined Autobot. You don’t get the opportunity to choose your character (in the single player campaign, anyway), but as they all control the same way, who you are playing as doesn’t actually affect your gameplay all that much. The levels play out rather like you’ve stepped into the show, with plenty of cutscenes and a lot of voice acting to immerse you in the story. The environments and characters also give you the feeling of being inside the show’s universe, rather than being a separate and new thing, but that should serve as a plus for fans. 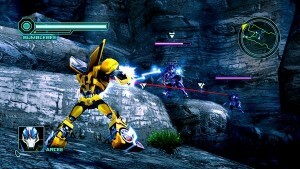 The gameplay in Transformers Prime: The Game is very linear. Each level has a set path you must take, and events will not unfold until you’ve reached the next area you need to be in. There is also a map that points you in the right direction, should you manage to get lost, but it is rarely necessary as there really isn’t anywhere to go other than where you need to be. While you generally have the choice of how you want to proceed through the levels, there are plenty of times where you’ll need to be in vehicle mode to advance. Either way, other than the bonus side room here and there, there really isn’t any room for experimentation or alternate solutions in the game. While this can be a bit disappointing for adults, it is actually more of a plus for kids, particularly of the age group this game is designed for, as too many choices and not enough direction generally leads to frustration for that age group. 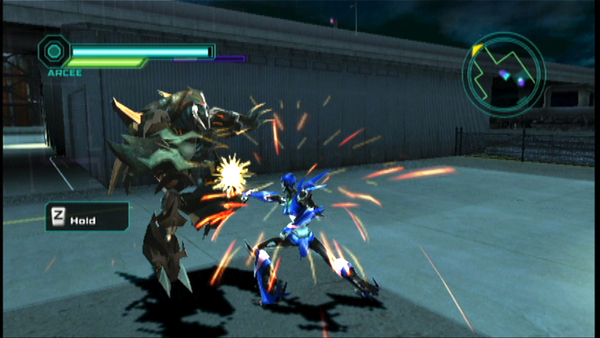 Transformers Prime: The Game utilizes pretty much every feature of the WiiMote, and yet you don’t really have a ton of control, oddly enough. You will need both a WiiMote and its Nunchuk attachment to play. The control stick on the nunchuk moves your character, “C” transforms to vehicle mode, and the “Z” button on the nunchuk allows you to lock on to an opponent when shooting. 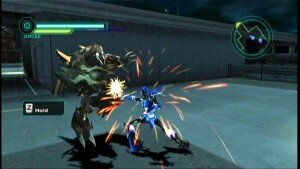 On the WiiMote, “A” is used for both jumping and as part of a combo move, while “B” shoots. Pressing the “down” button will pull up a shield to protect you from attack. To attack your opponent, you need to vigorously move the WiiMote up and down, which performs a battle combo on opponents right in from of you. There are several variations of this, including holding down the “A” after a few shakes to create a combo that breaks shields. It is the controls that I really had the biggest problem with in Transformers Prime: The Game. There is a noticeable lag between your motions with the WiiMote and the action onscreen. Unfortunately, this is basically a combat game, and timing *does* matter. Your opponents do not just stand still and wait for the Wii to register your actions, and so oftentimes you end up getting beat up while yelling at the screen because your moves are not being performed, or your shield has not gone up as it should. As there is no other options for control, this really does cause a lot of frustration – and that can be a deal breaker when dealing with kids. One thing that helps a lot in the area of frustration is that the game allows you to retry an area as many times as needed. You are also given the choice to have an added boost to your energy when retrying, which is often just enough to get you past. While the game itself isn’t truly hard on its own, the problem with controls often makes it so, particularly in later levels where there is a lot of action going on. The multiplayer mode also helps a bit with this, as playing split screen with friends and family means everyone has the same control issues and the playing field is leveled.